Discussion in 'Biomedical Engineering' started by Ghada Ali youssef, Apr 8, 2017. Many of them must wait for years to get a kidney transplant and live normally, with seemingly no other solution on the horizon. However, there’s finally a light in the dark tunnel – scientists from the University of California at San Francisco, USA, have developed the world’s first bionic kidney which can replace damaged kidneys easily and effectively. 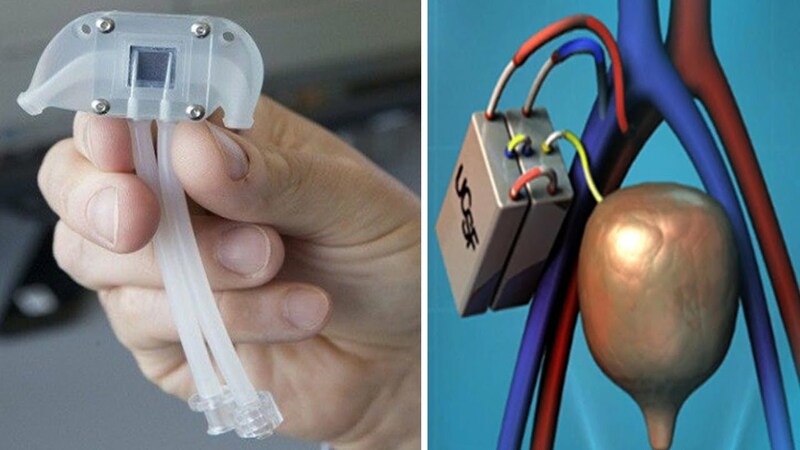 The bionic kidney is a perfect replica of our kidneys. It consists of numerous microchips and is moved by the heart. Like the normal kidneys, it is able to filter waste and toxins from the bloodstream. The project was unveiled by Willian Vanderbilt Fissels and Shuvo Roy from the University of California, offering renewed hope for millions of kidney dialysis patients. Now, some of you may be wondering “But, what if the body rejects it?”, but, the scientists assure us that the chances of rejection are zero! Incredible, right? The project is wonderful news for any dialysis patient. In the beginning (November 2015), the scientists received $6 million from the Institute of Biomedical Imaging and Bioengineering, and it’s safe to say that the money were well spent. The scientists have high hopes for the bionic kidney, and the lead researcher, Dr. Victor Gura, says that the device will be available for sale in only 2 years. Can u give me all information about this devise and total expensive with device cost.